Tenants sometimes want or need to break a lease. Breaking a lease means to end a lease before its termination date. A lease is a binding contract between a landlord and a tenant. Maryland law requires that a lease limit late fees to 5% of a monthly rental payment, but in areas where the law does not impose limits, the landlord and tenant are free to negotiate their own agreement. This is true about early termination of a lease agreement. Some written leases have a section which provides a way for tenants to cancel the lease. For example, some leases contain a section that allows a tenant who wants to end the lease early to pay the equivalent of two months’ rent in advance of moving, and give sixty days written notice of the moving date. Then the lease will be terminated. If a tenant wants to break a lease that does not have a cancellation section, Maryland law permits early termination of a lease only under certain circumstances. These include certain situations where continuation of the tenancy becomes a severe hardship for the tenant, and certain situations where the tenant has been called to military duty. Maryland law also allows an early end to a tenancy under certain medical circumstances, with a doctor's certification. If you do not meet any of these conditions, you may try to negotiate an early termination agreement with your landlord. A -No. The landlord would be breaking his/her promise to you as made in the lease. If the landlord refuses to let you move into the property, you could sue for a breach of the covenant of quiet enjoyment and obtain damages, including the difference between what you now have to pay in rent at another location and what you would have paid in rent under the broken lease. A -The answer is that it depends. If the property is so poorly maintained that it is no longer tenable to live there, a tenant may be able to go into District Court under the Rent Escrow Law (and in Baltimore City, under the Warranty of Habitability) and have a judge void the lease. In addition, if a tenant vacates a property because of the severity of the conditions, the tenant may be able to sue the landlord for constructive eviction and have the court void the lease and give the tenant money damages. The remedies of Rent Escrow, Warranty of Habitability and Constructive Eviction are somewhat complicated and it is advisable to seek assistance before trying to use them in court. 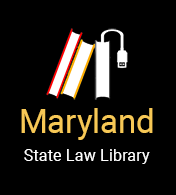 The Legal Aid Bureau (for income eligible clients), Maryland Volunteer Lawyers Service (for income eligible clients), or a private attorney may be able to provide you with more detailed information tailored to your particular situation. Normally, if the landlord is not maintaining the property well, you would file a complaint with the local housing inspector and send a letter by certified mail to the landlord noting the items you want repaired. If a housing inspector issues a violation notice, and the landlord does not fix the issue within a reasonable time, you may be able to go to court. If the repairs needed are substantial, you can file a rent escrow case, asking the court to let you pay the rent money into a court escrow account (not directly to the landlord) until the repairs are finished. In Baltimore City, you may also be able to file a warranty of habitability case. The court can even order that the rent be reduced for the period of time that the landlord failed to make repairs. A - It may be grounds to break the lease if you have given your landlord notice of the problem, an opportunity to remedy the problem, and the problem still continues. In all Maryland leases, the landlord has made an agreement, called the covenant of quiet enjoyment, to make sure that his/her rental property is a safe and quiet place to live. If other tenants are disturbing you by their noise, you should contact your landlord in writing about the situation specifying when the tenants have disturbed you and the nature of the disturbances. Then, you must give the landlord a reasonable time to remedy the situation. If the landlord contacts the tenants about the noise, but the tenants do not voluntarily stop disturbing you, the landlord may be obligated to send the tenants a notice to vacate for breach of the lease. If the tenants do not vacate and do not stop disturbing you, the landlord would then have to take the tenants to court for breach of the lease. This process could take several months. You must give the landlord at least that much time to remedy the situation. If however, after a reasonable time has passed, the landlord has not moved to have the tenants vacate, you may file an action in District Court for the landlord’s failure to assure quiet enjoyment of the premises. You can then decide to stay in the property and get money damages or ask the court to end the lease and award damages to cover moving expenses. Obviously, the outcome of the case will depend upon your ability to prove the situation. This is certainly a less risky procedure than moving and then arguing constructive eviction either in a suit you bring against the landlord or as a defense against the landlord’s suit for lost rent. However, if you find it impossible to continue your tenancy because of conditions in the property or because of a breach of your quiet enjoyment, you may move and argue that you were constructively evicted. A - You are still bound by the lease unless your lease provides for early termination due to job dislocation. Some leases have a specific section which addresses this issue, but many do not. For example, some leases will allow for termination of the lease if you change jobs to a location more than fifty miles away. Q -“I am in the military and have been stationed in another part of the country. May I break my lease? A -Maryland law does allow a person on active military duty who has received a temporary duty order for a period of more than three months or an order for permanent change of station to end a lease by providing written notice and proof of assignment. The tenant who provides the proper notice will be responsible for no more than 30 days rent and the cost of repairing any damage to the premises caused by the tenant. A - You may still be obligated for lost rent. Because few tenants are able to make the ending of the lease coincide with the purchase of a house, unless you reach an agreement with your landlord or there is a cancellation section in your lease, you will be responsible for the rent which is due for the remainder of the lease. However, the landlord must try in good faith to rent the property to someone else after you leave, to reduce the amount of rent money the landlord loses. If the landlord rents the property after you leave and before your lease ends, you will be responsible for the rent up until the time of new rental, as well as any costs the landlord sustained in having to rent the property again. Those costs may include the cost of advertising, for example. In addition, if the new tenants do not pay their rent during the time left in your original lease, you may also be responsible for this lost rent. A - You may have trouble obtaining another apartment if your new landlord checks with your current landlord. Since your landlord can hold you responsible for payments due under the lease until he finds a new tenant, a prospective landlord may question whether you can afford to pay both the old rent and the new. Even if you find a new rental, the original landlord can sue you for lost rent, as well as the costs of finding a new tenant. Furthermore, a judgment against you may be reported to a credit agency. If you are working, or when you get a job, the landlord who has a judgment against you may be able to garnish your wages. However, if you can no longer afford to pay the rent, you can try to negotiate a cancellation of the lease agreement with your landlord. Termination of occupancy before the end of the term. A landlord is not required to show or lease a prematurely vacated dwelling unit in preference to other units he is offering. A - A landlord does not have to allow subletting to anyone who is not qualified, but in general, a landlord cannot arbitrarily refuse to allow subletting or leasing to another qualified tenant. If he did this, he would not be mitigating his damages. A - If you give your landlord the required doctor's certification and notice of termination before you leave the property, the landlord cannot charge you for more than two months' rent after the date you leave. This provision does not apply if your contract already allows you to terminate the lease with written notice of one month or less, and limits your liability to two months' rent or less after the date you leave. A -The new owner takes over all the rights and responsibilities of the former owner under the lease agreement. Your lease is still valid. A -Unless the lease provides otherwise, the death of a tenant or landlord does not terminate the lease and does not terminate the responsibilities under the lease. Thus, the landlord’s successor continues as landlord and a tenant’s estate becomes responsible for lost rent if the tenant’s heirs end the lease.